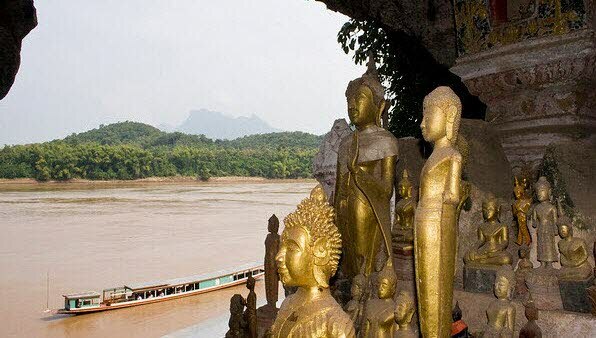 4 days in Laos to discover Luang Prabang wiith the famous landscapes such as Pak Ou Cave, Kuang Si Waterfall ... certainly you will collect the interesting & unforgettable experience. Arrive Luang Prabang meet the beautiful smiling and transfer to hotel. Afternoon lunch at local restaurant with Lao food: sticky rice, Lao has a wide range of food, ranging from European to Asian cuisine. But whenever you visit Laos please do not forget to try 'khao neo' (sticky rice). Khao neo is a symbol of Laos and it is taken together with all sort of food (like Europeans eat bread). Khao neo can also be used to make desert. So don't forget to try Lao khao neo. Laap (meat salad), tam maak houng (papaya salad) and ping kai (bbq chicken) are typical Lao food leather salt, silly and Ohlarm soup, and eaten with khao neo. 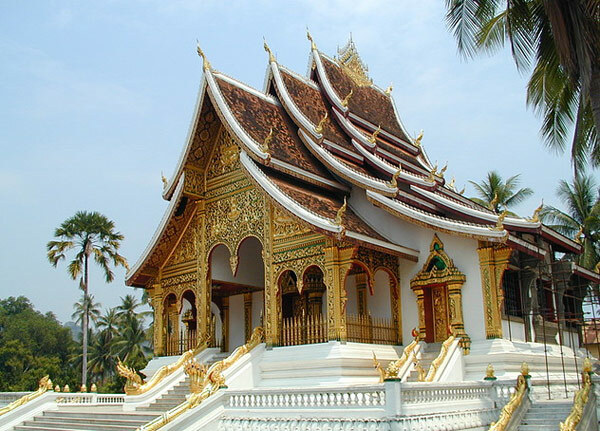 Today we will visit the magnificent temples of Luang Prabang including Wat visoun, built in 1503 by Visunarath King; Wat Aham, the main temple of keeping the Ancestors of Luang Prabang people; Wat Mai, the golden temple built in 1788; Wat Saen - the temple very strict for Vipasana meditation, also having the tallest Buddha standing; Phousi mountain - climbing 328 stairs to the stupa on the top built in 1792 by Anouroutha King. Dinner at local restaurant. Morning visit Wat Xiengthong, the famous temple in Lao arts and sculptures. 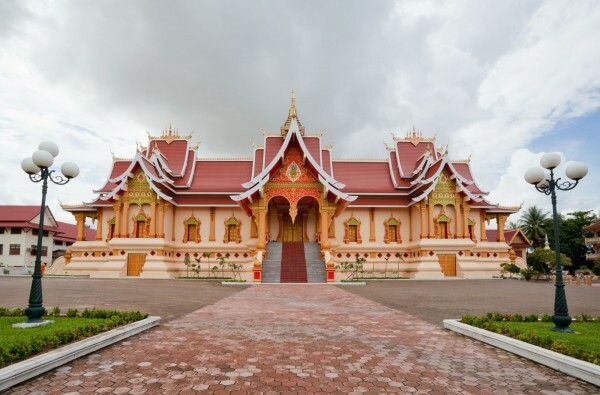 It was built in 1560 by Xaysetthathirath King before moving the capital to Vientiane 1565. 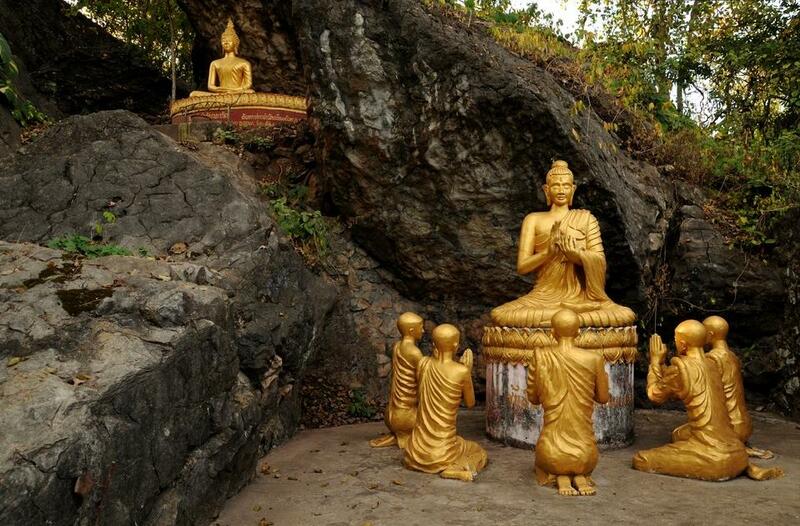 Then, make a Mekong river excursion by boat to Pak Ou cave to see thousands of Buddha images. 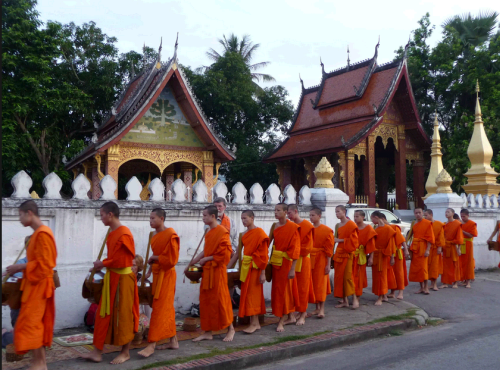 People believe they are sacred charms of the Ghost King to protect Luang Prabang people. Picnic lunch at Pak Ou restaurant . On the way back to Luang Prabang visit the most famous Lao rice whisky making village Ban Sanghai. Dinner at local restaurant. Arriving in Luang Prabang we continue to visit the well - known weaving village Ban Phanom, the paper making village Sa. Then transfer back to hotel. Breakfast at hotel and then visit the National Museum – the former Royal Palace -which was built in 1904 by the French colonial government. Inside the palace there is Main Buddha called Phrabang. This Buddha had come from Srilanka after The Lord Buddha Nirvana. 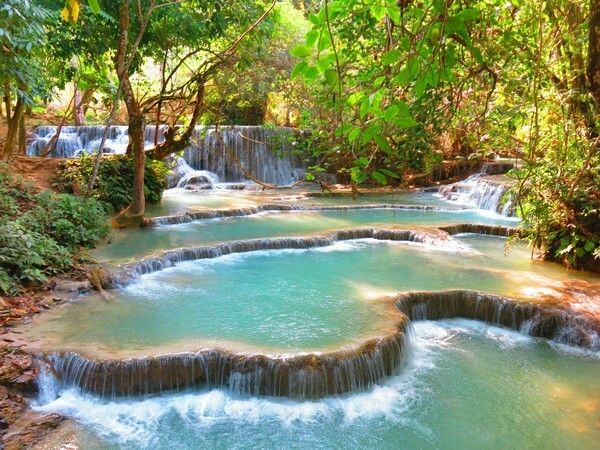 After that, drive to Kuang Si to see beautiful waterfalls and cool streams. On the way back to Luang Prabang, stop to visit hill tribe village. Have dinner then visit night market of ethnic minority to buy some souvenirs and overnight at hotel. Morning wake up at 5AM to do merit by giving alms to 200monks lined to collect alms. Breakfast then do shopping, transfer to airport for departure before noon. Twin sharing accommodation with bed and breakfast at New Daraphet (3*) or Manoluck Hotel (4*), or other hotel of similar quality. Packing list: Passport, towels, toiletries, change of clothes, sun glasses, sun hat.